Canada's prison watchdog says small portions and inferior quality food are driving heightened tensions and a black market economy behind bars, as spending cuts in 2014 resulted in a fixed daily food budget of $5.41 per inmate. 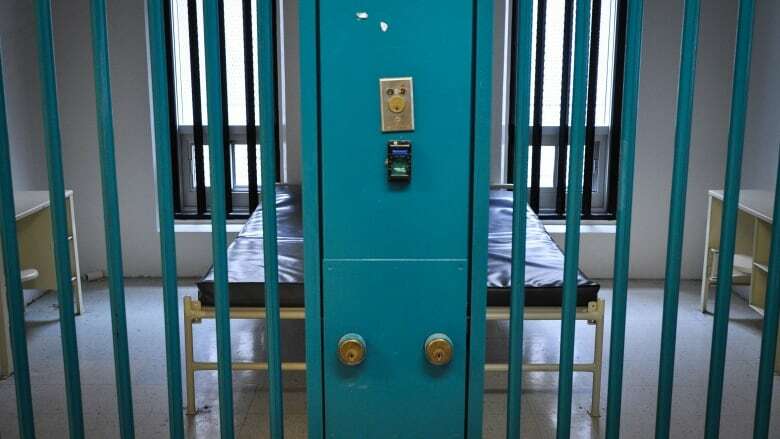 Canada's prison watchdog says small portions and inferior quality food are driving heightened tensions and a black market economy behind bars. In his annual report to Parliament, Correctional Investigator Ivan Zinger said spending cuts in 2014 resulted in a fixed daily food budget of $5.41 per inmate. That has fuelled a flood of complaints about portion size, especially protein, as well as quality and selection. The supply of food has become part of the underground economy, where it is bought, bartered and sold for other items, Zinger said. "Playing with the food of hungry and frustrated prisoners can have unintended detrimental effects," he said. Dissatisfaction with quality and portion sizes was a "contributing factor" in the confrontation that led to a deadly riot at Saskatchewan Penitentiary on Dec. 14, 2016. More than 200 inmates caused extensive damage in the medium-security wing of the federal institution in Prince Albert. One 43-year-old prisoner died and three others were assaulted. Zinger said each offender's meals provide 2,600 calories, which is the guideline for an inactive male aged 31-50. "The problem is that the active young man under age 30 still constitutes a majority population in federal corrections," he said, adding that many offenders say they don't get enough to eat, or have to buy supplemental food from the canteen. "CSC will take the Office of the Correctional Investigator's recommendations into consideration while developing the audit's objectives and scope in the coming months," said spokesman Scott Bardsley. As part of the Conservative cost-cutting initiative, that saved an estimated $6.4 million, a national menu was created along with regional production centres where food is prepared, cooked and chilled in a centralized kitchen. To meet the low daily ration cost along with minimum nutritional requirements, powdered milk was substituted for fresh milk, bulky meat portions replaced with more select cuts, expensive grains were removed, vegetable selection was reduced and English muffins were replaced with toast, the report reads. "Not surprisingly, when these changes were first introduced, inmate grievances related to food issues spiked," the report reads. The food issue was one of several issues highlighted in the correctional investigator's annual report, most of them which have been flagged in past reports. Zinger said the lack of progress in some key areas such as the over-representation of Indigenous people and the treatment of mentally ill offenders is "frustrating." "The lack of traction I'm getting from my recommendations in this annual report is disappointing, and I would hope certainly that on the broad government priorities that there would be more take-up on those priorities," he said. Bardsley said the government is committed to ensuring a "fair, humane and effective" correctional system, and has invested money and taken steps to address some pressing problems. Lack of therapeutic environments for federally sentenced women: Living conditions are "harsh and inappropriate" for women struggling with serious mental illness, some of whom engage in chronic self-injurious behaviour. The practice of temporarily transferring acutely mentally ill women on an emergency basis to all-male treatment centres where they are separated and held in complete isolation is "entirely inappropriate, unacceptable and contrary to international human rights standards," he said. Use of segregation: Admissions and lengths of stay in segregation have decreased significantly, but some problems remain. Segregation cells lack appropriate ventilation, windows and natural light and outdoor segregation "yards" are often little more than bare concrete pens topped with razor wire, Zinger said. Prison work: Less than 10 per cent of inmates are gainfully employed at any given time, and too many are engaged in menial institutional jobs rather prison industries that will lead to viable work after they are released. Opportunities to acquire apprenticeship hours towards a trade certificate are scarce and women prisoners are most often put to work on gender stereotypical work like sewing, textiles and laundry. Lack of alternatives for mentally ill offenders: The use of physical restraints, clinical seclusion, suicide watch and segregation to manage people in serious psychological distress remains problematic.